Awards season is in full swing and the Golden Globes nominations were recently revealed. Trailing perhaps only the Academy Awards, the Golden Globes is one of the biggest awards ceremonies of the year. And they totally ignored director Patty Jenkins for her work on Wonder Woman. Now, a fan petition has been started in order to try and get this changed. Will it work? Probably not, but it shows just how strongly fans feel about Wonder Woman. The petition, started on Care2, as of this writing, has 7,716 signatures. Granted, the nominees are pretty much set in stone at this point, so it's not likely that anything will come of this effort, but director Patty Jenkins certainly seems deserving of a nomination for Wonder Woman and a lot of fans things so as well. Here's what the petition has to say about it. "The Golden Globes nominations came out today, and we are not pleased that no female directors are included in the nominations. Please sign this petition if you would like to see Hollywood Foreign Press revisit the Golden Globe nominations and include Patty Jenkins, director of this year's blockbuster hit Wonder Woman!" Indeed, the troubling part of this whole thing isn't specifically that Wonder Woman was snubbed. It's got to do with the fact that female directors have been left out in the cold entirely. The Golden Globe Best Director nominees include Guillermo del Toro for The Shape of Water, Martin McDonagh for Three Billboards Outside Ebbing, Missouri, Christopher Nolan for Dunkirk, Ridley Scott for All The Money in the World and Steven Spielberg for The Post. 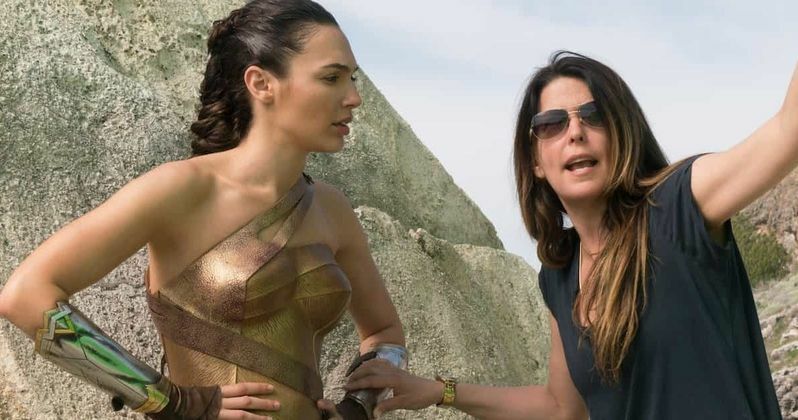 All seemingly worthy candidates, but what about Patty Jenkins? The petition strongly calls out the organization for not honoring female directors. Specifically, Jenkins for Wonder Woman. "In an industry with glaring gender disparities, the Golden Globes ought to honor women who have gone above and beyond to cultivate success. The roadblocks women face in an industry dominated by male decision makers are not to be ignored, and the success of this film proved that Jenkins is a artisan who can move audiences to places of awe, tears, and inspiration." Wonder Woman remains one of the best-reviewed movies of 2017, currently boasting a 92 percent rating on Rotten Tomatoes, and one of the highest-grossing at the box office, bringing in an impressive $821 million worldwide. With that in mind, it seems perfectly reasonable to think Patty Jenkins could have earned one of those Best Director nominations. If not her, then Greta Gerwig surely seems deserving for Lady Bird. Alas, it looks like great female directors aren't going to get their due this year. At least not from the Golden Globes. If you want to sign the petition, you can do so at Care 2 Petitions.